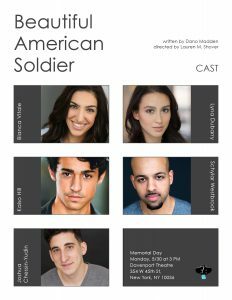 Beautiful American Soldier: Meet the cast! 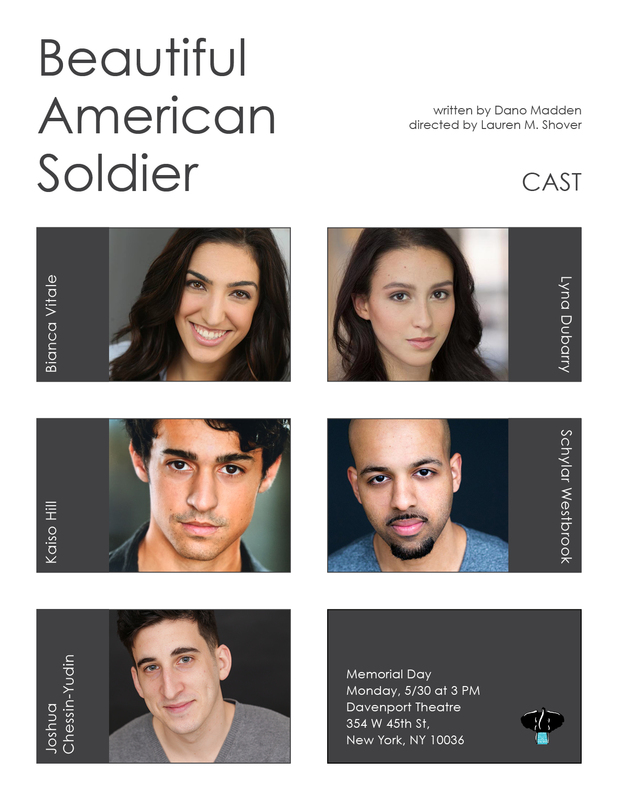 Meet our wonderful cast of Beautiful American Soldier, written by Dano Madden and directed by Lauren Shover. You won’t want to miss this wonderful play, come and join us 3PM on Memorial Day at the Davenport Theatre in New York. Tickets are available at https://www.artful.ly/store/events/9244.